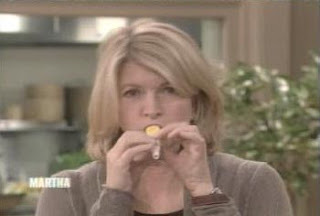 In celebration of National Kazoo Day, Martha Stewart played kazoo with "How To Kazoo" author Barbara Stewart (no relation). Everyone in the audience received a free copy of "How To Kazoo" along with a free kazoo. 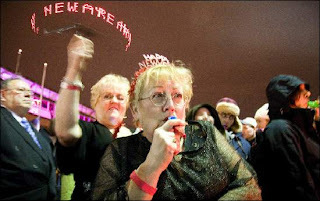 Martha showed style and pizazz and played the "Muffin Man" song with some coaching from professional kazooist Barbara. 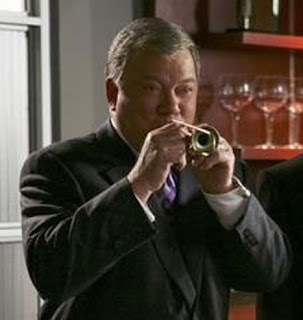 On the January 9, 2007, episode of Boston Legal William Shatner is seen playing Trombone Kazoo. It made quite a stir in the blogs. Check out the promo trailer. You can even hear a smidgen of the kazoo sound. The next morning Kazoobie Kazoos had orders for upwards of 200 of these. Within a week over 300 Trombone Kazoo have been sold. Wow! In the early nineties the rock band The Cure performed on MTV's Unplugged. They played kazoos and even hand kazoos out to the audience. They performed the song, "The Walk." A video has surfaced on YouTube. Thanks to Craig R. for making us aware of this. These Nu Kuzu's are found in the collection of Captain Kazoo. I'm glad to know they are valuable, because I have a few of these stashed away in a box somewhere. Let the bidding begin. Watch the adventures of Mr. Kazoo at Clips and Quips. Boaz Frankel is a television producer and film producer who interviews celebrities and posts then on this fun web site. See the big stars play kazoo in some of the interviews. The episodic adventures of Mr. Kazoo follow the daily trials and tribulations of a young kazoo making it's way in the city. It's very funny and deserves to be on Saturday Night Live. A slew of kazooers massed on East Main for a Camp Good Days and Special Times fund-raiser, trying to beat the Guinness record for the world's largest kazoo ensemble at 1,791. The sound of "Jingle Bells," "Rudolph the Red-Nosed Reindeer" and other tunes on kazoos echoed off downtown buildings for five minutes. Organizers said they beat the record with 2,679 players.